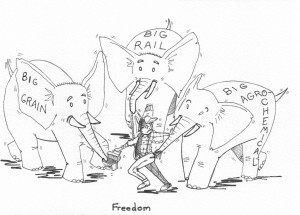 Home » Blog » Are farmers dealing with 117 year old problem? 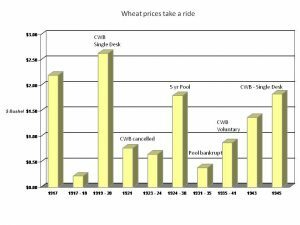 The chart on wheat prices would be much more effective if we could see the old prices in terms of 2017 dollars. What would a $2.20 bushel of wheat in 1917 look like today? What could you buy for $2.20 then? I might guess you could get a pretty significant bag of groceries. What about today? Maybe a chocolate bar? I recently did some analysis on the value of $6 in 1973. Using inflation guidelines published by a well-known livestock association, that $6 is equivalent to over $30 today. The prices that took a ride on your chart would look astounding if we could logically display them in terms of their buying power. The world might like to see that. Your calculation is pretty accurate Darrell. The Bank of Canada has an inflation calculator which shows that $2.20 in 1917 would be worth $38.50 today if it had kept up with inflation. 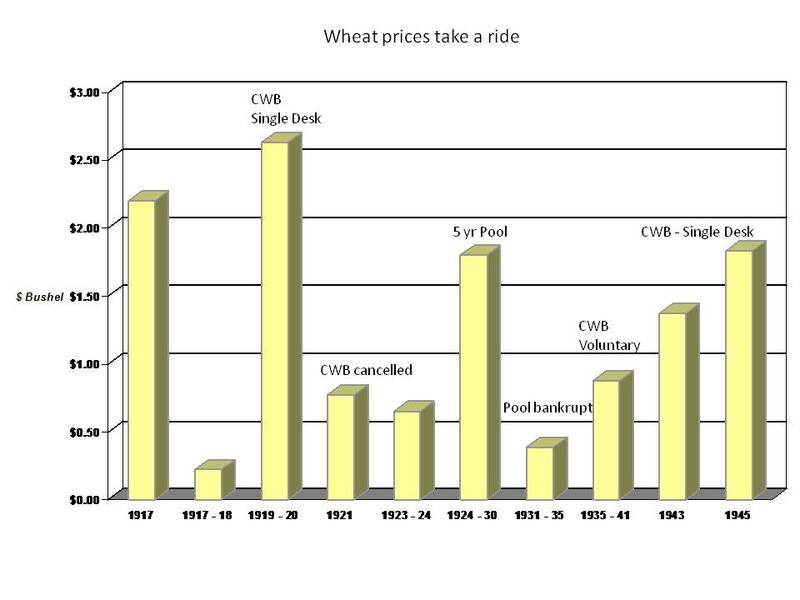 The graph shows the price of wheat FOB at port. 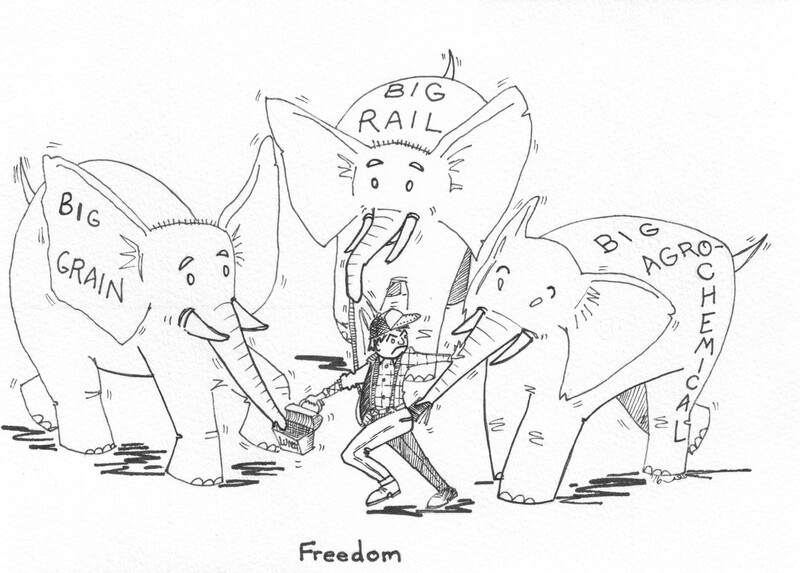 It demonstrates the power of farmers bargaining collectively to take more of the world price.